The Cairns Convention Centre is a multi-purpose venue designed for a wide range of events including concerts, exhibitions, conventions and meetings. Two main halls can cater, in auditorium or flat-floor seating, for the most complex concert set-ups from an intimate 500 to 4,300. The convention centre has a dedicated registration desk ideal for use as a box office with EFTPOS and data facilities and 230 undercover car parking spaces. 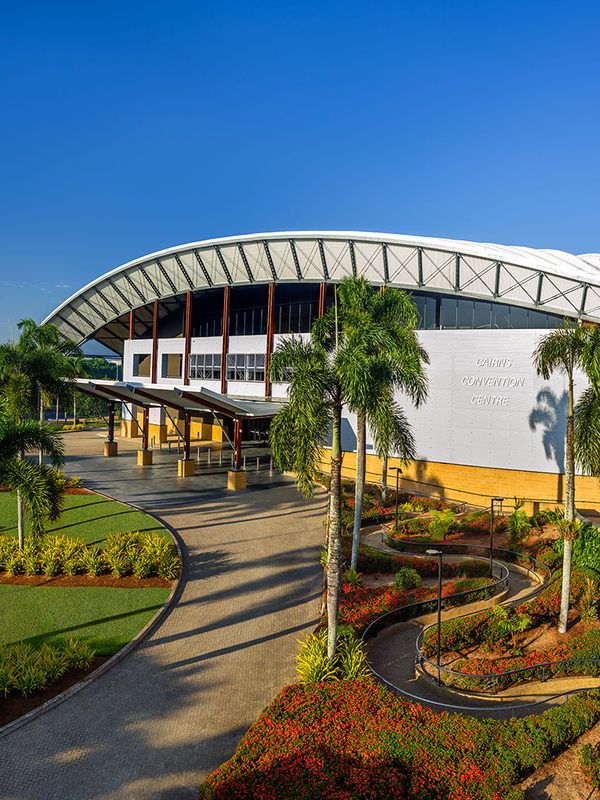 As the largest indoor venue in Cairns, many major international, national and local acts have performed at the Cairns Convention Centre in a variety of events from concerts, comic opera and dance performances to comedy, basketball, boxing, martial arts and dancing horses. The Cairns Convention Centre has 239 undercover parking spaces including 7 identified accessible car parking places. Entrance is via Sheridan Street and the cost is $5.00 per entry. Free street parking in the vicinity of the venue is also generally available for evening concerts.